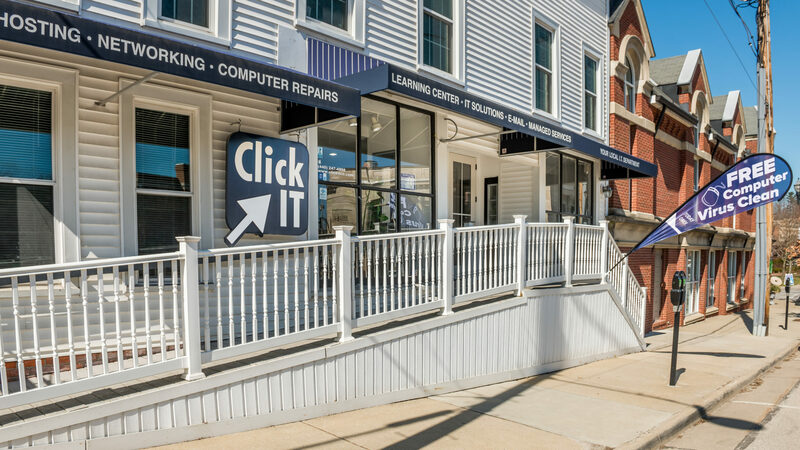 Click IT is on Main Street in Chagrin Falls village, across from the BP station. We're open M-F 9 to 5. We have a service desk. Come drop in. Are you looking for a new computer or need a computer repaired? 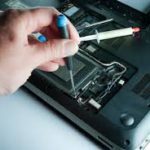 We sell and fix a large number of computers every month and will help you with your devices as well. We specialize in helping small businesses and consumers too. Something wrong with your network, current I-T provider or device? Simply give us a call at (440) 247-4998 for quick assistance and answers to all your questions. We provide complete I-T services. We are always happy to help you with your IT issues. Click IT offers a unique, hybrid delivery of I-T services. We care for hundreds of Macs, PCs and Networks. 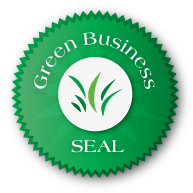 We service both consumers and businesses. Our aim is to set your worries at ease by being your reliable and affordable I-T department. We sell, support and service every brand computer or network appliance, and can even custom build your system or network using quality parts that are made to last. We also make sure that each part we use for fixing is new and of the highest quality. Do You Manage a Business? 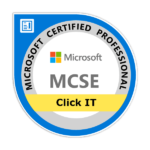 Click Here to learn about our new MSP group. 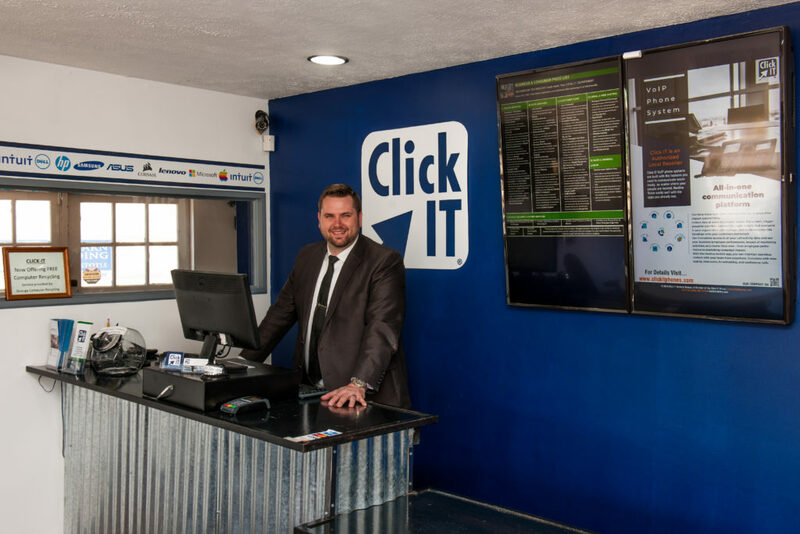 Click IT is Now a Franchise! Most I-T services, including computer repairs, can be done that day or next day! No other local computer repair and I-T services company can offer this degree of speed. 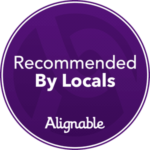 In business on Main Street in Chagrin Falls since 2012, Click IT comprises of a group of certified and qualified geeks working daily on all aspects of the I-T field. Specialist in helping business owners use advances in information technologies, typically only available to large enterprises. Call to speak with a Tech now! We return calls within the hour. 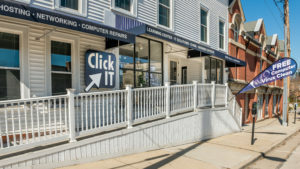 Click IT has been helping people deal with technology challenges since 2012, and now manages thousands of computers and hundreds of networks. We offer many I.T. services and are a one-stop shop for all your technology needs. We sell computers, manage data, create websites, teach tech, repair devices and simply help people and businesses use technology efficiently and more effectively. Our expert technicians are fully trained and waiting to help you, whatever the issue. Our shop is located in Chagrin Falls, across from the BP, and is fully equipped to handle any issue quickly at a reasonable price. Call us immediately if and when you need computer help or go to our Contact Us page to get directions and then come see us. WE REPAIR BROKEN DEVICES - while providing expert advice. WE MAKE HOUSE CALLS - with fast turn-around, most systems can be repaired, or if we need to bring it back to our shop, many times we're able to return it the same day, keeping you informed all the way. NO CHARGE FOR PICK UP AND DELIVERY - Inside a 5 miles radius from our shop in Chagrin Falls Village, we don't charge for pickup and delivery. WE SUPPORT APPLE iOS - Using the latest diagnostic tools, we are equipped with diagnosing the problem and making your tablet or Mac repair happen. WE MANAGE & SUPPORT BUSINESS NETWORKS AREAWIDE - with our systems administration knowledge and capabilities, we can provide complete coverage for all your company I-T needs.